Exporting your data enables you to pull your members’ information into an Excel Spreadsheet. 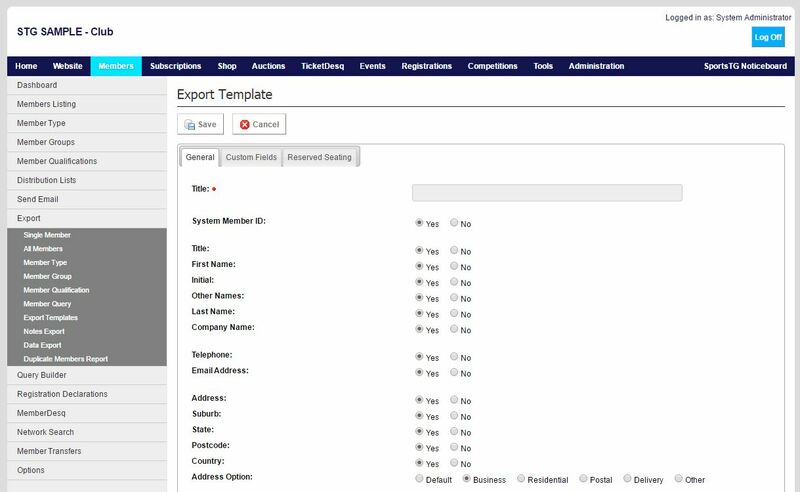 When exporting you can choose to export all the fields in the Members Listing (which would include the basic contact information, as well as custom fields), or you can create an Export Template, which allows you to select which fields you would like to see in the export. 1. Within the Management Console, select Members from the top menu, then Export from the left menu. 2. Select Export Templates from the expanded left menu, and click Add at the top of the page. 3. Give your template a Title, then select all the fields that you want to include in the Export Template by clicking each available field to Yes or No. 4. Once all fields are selected, click Save.